Recently, the Swedish Game Award winners were revealed. The Swedish game awards is an annual game contest open to students. Frog Climbers was nominated for the Best execution in design award and the Game of the Year award. Frog Climbers won the Best execution in design award, and the Gamer’s choice award! 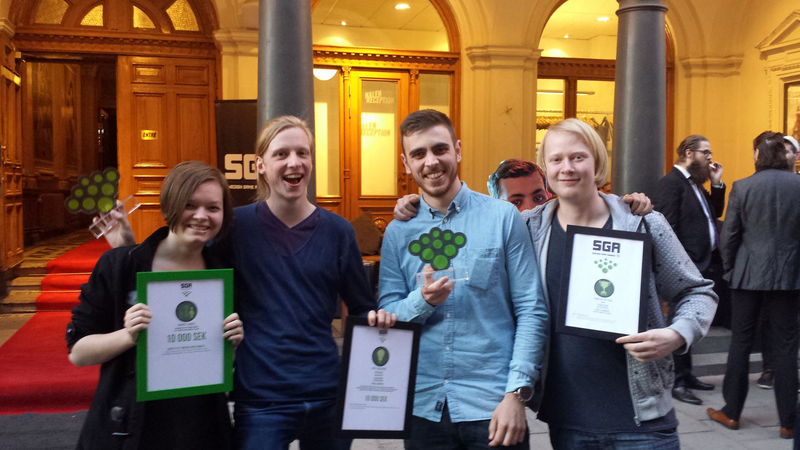 Thanks to everyone who tried the game at SGA, and thanks to the Swedish Game Awards jury for the love! We are very humbled and happy! Lastly, congratulations to Adventure on Clover Island for winning the Game of the Year award, well deserved!